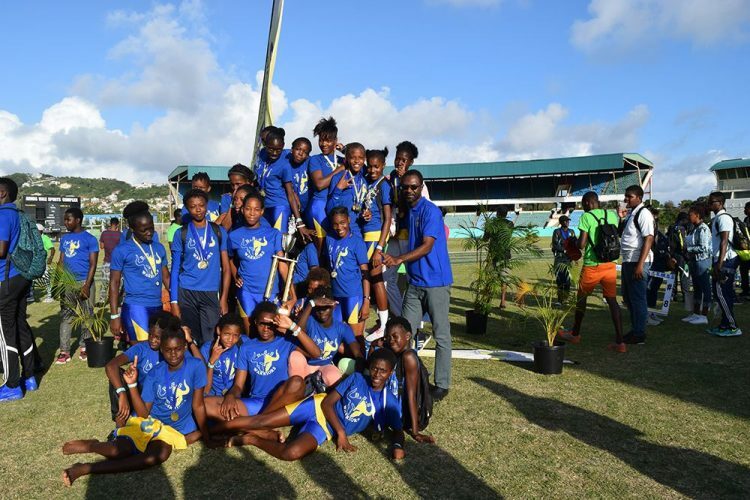 The Barrouallie Secondary were the runaway champions in the female category of the National Lotteries Authority Inter-Secondary Schoolsâ Athletics Championships, which concluded on Thursday at the Arnos Vale Playing Field. Barrouallie Secondary, also referred to as âCentral Leeward Secondaryâ, ruled over their opponents, amassing 347 points, out-distancing last yearâs champions â the Girlsâ High Schoolâs 225 points. Finishing third were Bethel High School with 190 points, fourth Thomas Saunders â 175 and fifth the St Josephâs Convent Kingstown, on 167 points. The Junior Category Champion was emerging sprinter, 12-year-old Ulanda Lewis of the Barrouallie Secondary, with 40 points. Thomas Saunders Secondaryâs Zamesha Myle, with 40 points, was crowned Intermediate Champion and the Girlsâ High Schoolâs Tamara Woodley the Senior Champion and Victrix Ludorum. Woodleyâs individual tally was 49 points. The Union Island Secondary won the March Past and Cheer Leading titles.